Whether you're sitting outside having a picnic or hanging around the house, few things are more unnerving than the feeling of a bug crawling on you. In this case, ants are usually the culprits because they're attracted to food and other certain smells - things bound to be at your picnic or in your kitchen. Most ants don't pose much of a threat to you (outside of ruining your food), but they can still be annoying when they invade your home. 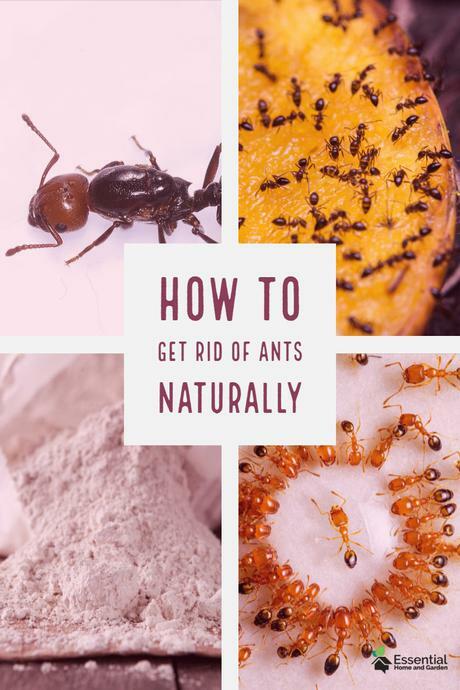 To get rid of them, you'll want to find a safe & natural ant killer that can go around your house or outdoor area without putting pets or children in danger. Diatomaceous earth is made by extracting silica from the skeletons of diatoms - small sea creatures - which creates a white powder. On a microscopic level, this powder looks like millions of small glass shards. Despite this, the particles are so small that they feel soft to humans in the same way that sand is smooth to the touch. However, it is sharp & dangerous to the much smaller ants (and other small insects) in the same way broken glass can cut us. 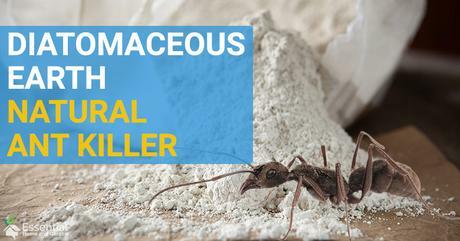 As a simple, fine powder, diatomaceous earth can be sprinkled by hand (or really any other way you'd like) in any problematic areas where you want to kill ants and prevent them from going in the future. This can be doorways, holes in the baseboards, in front of the pantry, or just about anywhere else indoors. It can also be used outdoors as a barrier on the outside of your door to stop ants from coming in or sprinkled around your garden to keep unwanted visitors out. Generally, you want to avoid any areas that are currently damp as the water can dilute the diatomaceous earth. You'll also need to reapply it to any outdoor locations after wind or rain to ensure your protection stays up. Diatomaceous earth is very safe to use either outdoors or inside your home. While it'll cause a bit of a mess if you're not careful when spreading it, many food-grade diatomaceous earth products are safe to eat for people and pets. As a matter of fact, diatomaceous earth is present in many farm-raised crops like grain, where it is used to protect them from insects. Chances are that you've already consumed some - you just didn't know it!